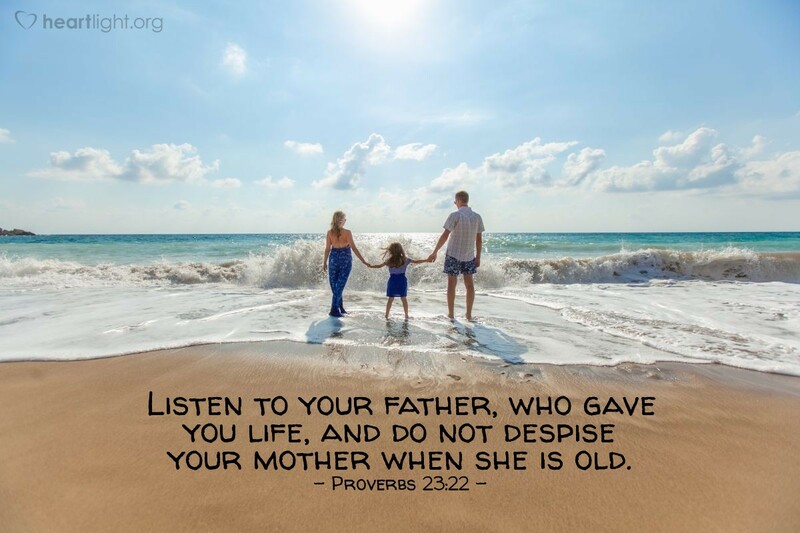 Loving Father and eternal God, thank you for my parents — physical and/or spiritual. Bless them with what they most need to find their way home to you. Give me wisdom to know how best to show my love and respect to them. Most of all, Father, please help them to see that my love and character come from you. In Jesus' name pray. Amen.